Former Secretary General Foreign Affairs, Senator Akram Zaki has said that Western Civilizations have attained remarkable progress in all spheres due to their advancements in science and technology. Mr. Zaki said this while addressing a two- day international conference on “Modern Civilizations: Convergence or Divergence,” held in Islamabad. 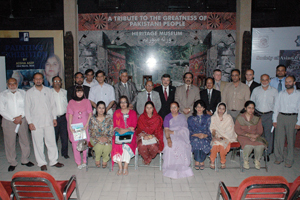 The conference was organized by the Society of Asian Civilizations in collaboration with Preston University and National Institute of Cultural Studies (NICS), Islamabad. 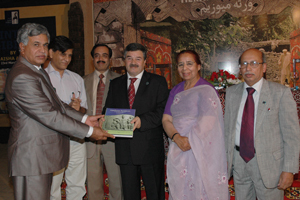 In his keynote address on the occasion, as chief guest, Senator Akram Zaki congratulated the Society of Asian Civilizations, Preston University and NICS for organizing the international conference to commemorate the Decade of Civilization (2010). He said the topic of the conference is of immense importance to the entire world as rapid changes were taking place on all fronts, and the West is making all out efforts to play a dominating role in every sphere. In his presentation on the occasion, Prof. Dr. Tahir Amin of the International Relations Department of Quaid-e-Azam University highlighted the significance of the topic “modern civilization,” and how to define civilization. He maintained that Civilization is a broader, more global concept, so we should not only concentrate on cultural and religious civilizations, but also consider the concept of global or modern civilizations, he added. In his enlightening and thought provoking discourse on the subject, the Chancellor of Preston University, Dr. Abdul Basit said that a comparison of the last 200-300 years would reveal that the political, military and economic forces played an important role in creating a modern civilization. Further elucidating his thoughts on the subject, Dr. Basit stated that, in his view, the Chinese civilization will rule over all others during the next 50-100 years. His views were endorsed by Senator Akram Zaki who said that the Chinese would have greater influence in the coming years over other civilizations due to its rapid economic, scientific, industrial and technological developments. Eminent among the speakers who addressed the first academic session of the conference were Ambassador of Islamic Republic of Iran in Pakistan, H.E. Mashallah Shakeri, Dr. Shamim Mehmood Zaidi, Chairperson Department of Communication, Fatima Jinnah Women University, Prof. Viachaslau Menkouski, from the Department of History, Belarusian State University, Dr. M. Iqbal Bhutta, from the Department of Archaeology, Hyderabad-Sindh, and Prof. Dr. Anis Ahmed, Vice Chancellor, Ripha International University. The session was chaired by the Ambassador of the Islamic Republic of Iran, H.E. Mashallah Shakeri. The second academic session was chaired by the Vice Chancellor of Preston University-Kohat Prof. Dr. Muhammad Anwar Hassan. Eminent among those who presented papers were Mr. Yar Muhammad Badini, Editor-in-Chief, Balochistan Today, Dr. Muhammad Hamid, Executive Director, Zawiya Academy and Dr. Khurran Qadir, Director National Institute of Historical and Cultural Research, Quaid-e-Azam University.